We were a little surprised at how country this album was, though we shouldn’t have been, as the first album, Lonesome Dreams, was equally so. Dreams did lean more to a spaced-out sound and we’d mentally bundled it up with Bon Iver’s For Emma Forever Ago, for some reason. Americans living in huts or something. 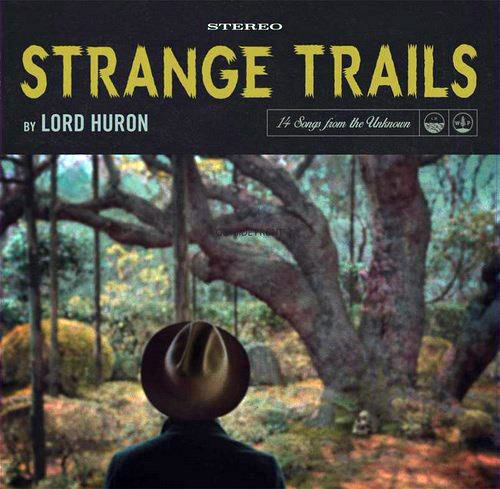 Lord Huron haven’t changed much though they sound more country, albeit in dark rockabilly way, like the music to an arthouse movie (or Chris Issak’s Wicked Game). We say “they”; they used to be just Ben Schneider but now he has a band and what he’s gained in musicians he’s lost a little in instant likeability, without feeling the need to tinker with the sound that worked last time. It’s gentle music somewhere between indie and country: much of the guitar sound is from the country genre while the vocals and artier bits are more indie, with intricately layered tunes. It’s a pleasant listen; Opener Love Like Ghosts is as good as any, and Dead Man’s Hand and Meet Me In The Woods are also good. As for the rest, not as immediate as Lonesome Dreams but we stuck to it through loyalty and it grows with replays to be a likeable album — though we doubt it will attract many new fans.